Be sure that your pipe leak detection and the followup leak repair are handled by a licensed and bonded plumber who’s also an emergency plumber in case you need help after hours. We can be there 24/7. Professional Plumbing will be there to plug the leak and make sure your home does not suffer any more damage than absolutely necessary. Finding pipe leaks can sometimes be challenging. Even when you think you h ave found the source of the problem, there’s often another hidden plumbing problem that needs to be taken care of. What Are Some Causes of Pipe Leaks? Clogged toilets and drains. The chances are good you have a clog if your sinks and toilets begin to drain slower than normal. If those clogs are not taken care of properly, they can lead to leaks. Aging and Shifting Pipes. Old pipes simply don’t work as well as newer pipes. Rust and deterioration can lead to cracks and crevices. 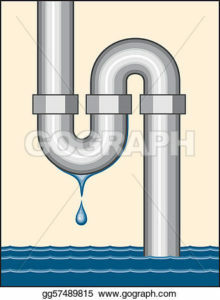 Have your pipes replaced if possible to avoid having to call an emergency plumber. Overflowing drainage pans. Your home’s HVAC system uses drain pans, which can overflow if you are not monitoring them. Sediment and rust in water heaters. Your water heater can start to break down and rust. This might require pipe leak detection or pipe leak repair. Sediment can get into valves and filters of your water heater causing blockage.